The 2018 Ford Taurus in Peoria is an ideal choice for families who want it all at a very affordable price. Boasting loads of tech, top-notch safety gear and class-leading storage space, the five-passenger sedan is everything you've ever wanted. For the current model year, Ford has done away with the four-cylinder turbocharger that was offered on last year's model. In addition, power-adjustable pedals are no longer offered in Equipment Group 201A. Other than these revisions, the 2018 Taurus carries over unchanged. The car is offered in SE, SEL and Limited trims, as noted by 2018 Ford Taurus reviews. The entry-level SE comes standard with 18-inch alloy wheels, six-way power-adjustable front seats, Sync voice controls, Bluetooth, two USB ports and a six-speaker stereo system. The mid-range SEL is fitted with even more creature comforts that are designed to help you make the most of your drives. Standards include remote engine start, dual-zone climate control and leather-wrapped steering. Buyers who want the most luxury offered on the new car near Phoenix, should consider the top-ranging Limited. It features power-adjustable pedals, leather upholstery, driver-seat memory settings, ambient interior lighting, 10-way power front seats, and a Sony-branded sound system with HD radio. 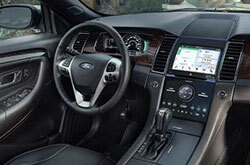 The Taurus SHO is the sportiest of the bunch, featuring standards like a sport-tuned suspension, unique 20-inch wheels, rear spoiler and steering wheel-mounted shift paddles. 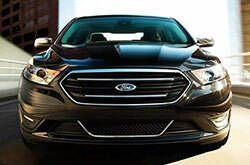 2018 Ford Taurus reviews applaud the car's ability to deliver an exhilarating driving experience. This is made possible by the standard 3.5-liter V6 engine that puts out 288 horsepower and 254 pound-feet of torque. It comes paired to a six-speed automatic transmission that transfers power to the vehicle's front wheels. 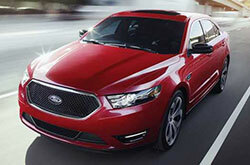 The SHO is powered by a 3.5-liter V6 turbo, generating 365 horsepower and 350 pound-feet of torque. The powerplant is also matched to a six-speed automatic, delivering power to all four wheels. 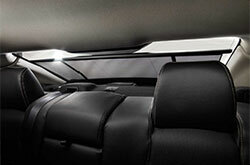 The new Taurus is designed to give passengers peace of mind on the road, thanks to its state-of-the-art safety gear. 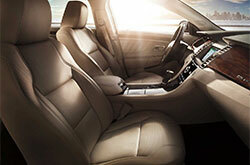 Standard, the car comes equipped with antilock brakes, integrated blind-spot mirrors and high-quality airbags. 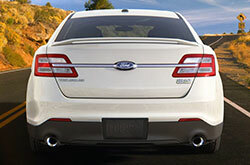 There's even a rearview camera that will make parking and backing up maneuvers safer.